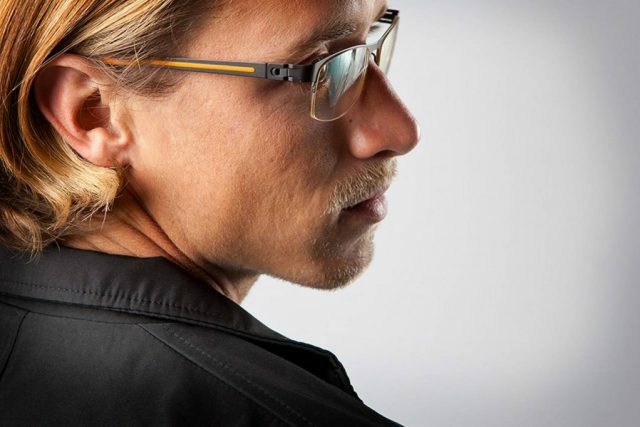 Introducing BluTech® Lenses, designed to enhance your comfort, vision and eye safety during work and play. High Energy Visible (HEV) Blue light exists outside from natural sunlight as well as indoors – emitted from digital devices and compact fluorescent lights. Studies show that blue light can impair our vision and our overall health, linking it to digital eye strain, retina damage, worsening symptoms of eye conditions such as diabetic retinopathy and macular degeneration and disruption in sleep patterns. Avoiding HEV exposure is easy with BluTech. BluTech® Lenses may also improve your ability to sleep better at night, which makes you feel better during the day! BluTech® lenses are perfect for sports enthusiasts by providing high performance and high definition vision. The lenses are polarized to reduce glare and block out UVA and UVB radiation, while allowing through the wavelengths required for true to life color perception. This reduces eyestrain and allows for relaxed and comfortable vision. BluTech actually improves clarity and object definition whether you are playing on the green, casting a line on the water or driving at night. 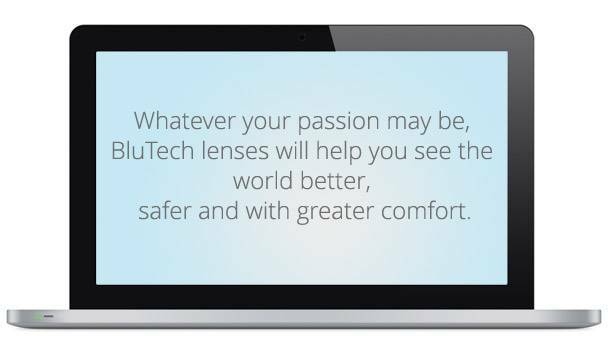 BluTech's revolutionary, polarized outdoor lens technology also allows the wearer to read digital devices such as smartphones and tablets, digital car dashboards, fish-finders or digital sports accessories without distortion, allowing you to play and drive without the need to remove your glasses.